Bikes come and go at Hugga HQ – in for review, or special projects, and very few of them get my attention like the Parlee. I was attached. Mostly because I’d raced a Cross season with it, suffering in the Elite categories. I left my fitness somewhere on a plane in 2011 and just when I starting going good, finishing on the lead lap, I got sick. Then pulled the plug on racing to regroup over the holidays. The Parlee never let me down in those races or in the snow. I pushed the bike to the limits when I could for a few hurtful moments at a time. While my legs didn’t show up until the season was nearly over, the heart, soul, and effort were there. So was the Parlee. 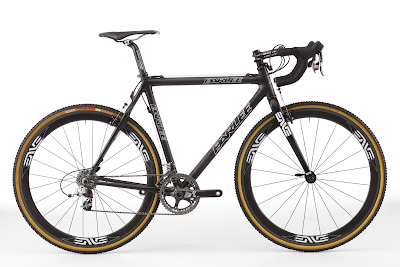 I have another Cross bike this next Season, a few months from now in the late Summer and Fall. Maybe it’ll perform as well as the Parlee CX-H did.